Over the next week, PokerNews will be taking a brief look at each member of the 2013 World Series of Poker November Nine. We’ll be moving around the table in seat order, and since we’ve already introduced you to Sylvain Loosli in Seat 1 and the Netherlands’ Michiel Brummelhuis in Seat 2, it’s time to turn our attention to Mark Newhouse in Seat 3. Originally from Chapel Hill, N.C., Newhouse has been poker grinder for the better part of a decade. 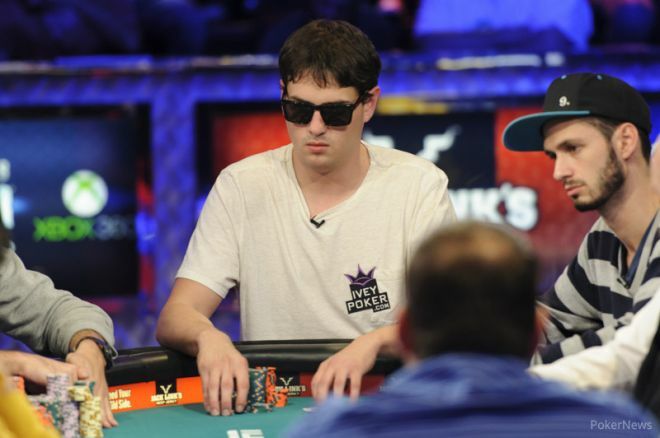 The 28-year-old poker pro, who now resides in Los Angeles, Calif., has been playing in the WSOP Main Event every year since 2006, but prior to this year had only cashed once in the tournament—182nd in 2011 for $47,107. Newhouse has six total WSOP cashes for $152,725, which means the minimum of $733,224 he’s guaranteed as a part of this year’s November Nine will swell those earnings greatly. Obviously Newhouse’s new work ethic is paying off, though he will begin the November Nine as the second-shortest stack with 7.35 million. With four of the five biggest stacks to his direct left, Newhouse may have a tough time picking up pots. What’s more, he’s got two fairly short stacks—Sylvain Loosli and Michiel Brummelhuis—to his direct right, meaning they’ll likely put the pressure on him when he’s in the blinds. About the only good news is that Ryan Riess and Amir Lehavot the two players seated to Newhouse’s immediate right. Both have big stacks but played fairly tight on Day 7. If they continue to do the same when the November Nine recommences, Newhouse should have a few opportunities to swipe the blinds and antes. Newhouse will likely be a polarizing character at the final table. He’s got the confidence and swagger of a young cash-game player, and while some will find that appealing, it may be a turnoff to others. Newhouse also runs in the same circles as Michael “The Grinder” Mizrachi, Chino Rheem and company, and of course that’s a love-them-or-hate-them lot. The most powerful storyline Newhouse has going for him is that of an underdog. Here’s a guy that has changed his attitude, put in the hard work and is given his big shot at poker immortality. It’s the same opportunity afforded to the other eight players at the table, but only one of them—David “Raptor” Benefield — has a bigger hill to climb than Newhouse as far as the counts are concerned.